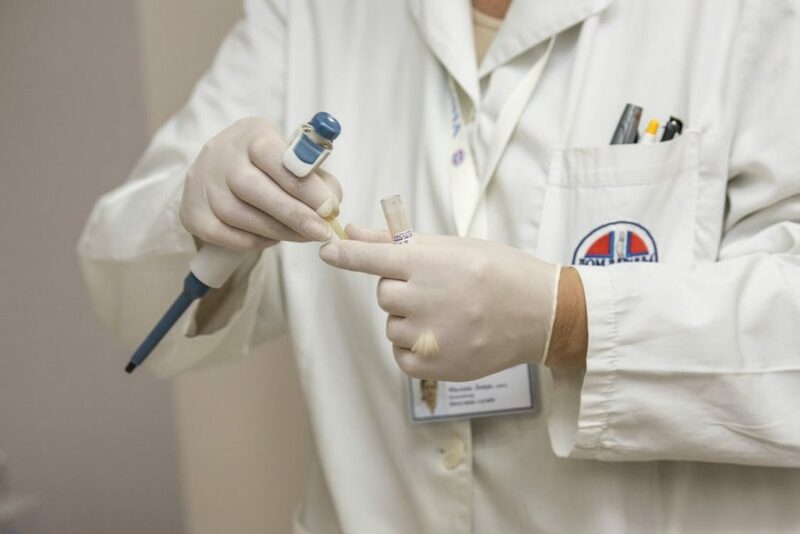 ZorgKiezer Blog > Zorgverzekering-2019 > How do I apply for a health insurance in the Netherlands? How do I apply for a health insurance in the Netherlands? Everyone who works or lives in the Netherlands is obligated to have a health insurance. All the basis needs for health care are covered in this the basic insurance. You can extend the basic health insurcance with an additional health insurance to cover more medical care. Every insurer offers a basic healthcare package, but they do differ in the premium you will have to pay. 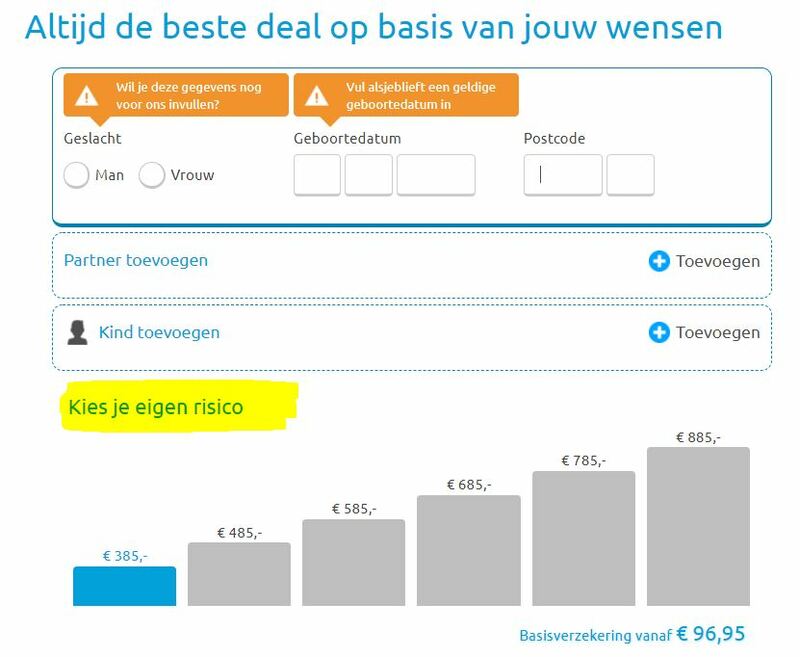 This is why ZorgKiezer.nl compares all of the insurances and tries to prevent you from overpaying. An addition health insurance is an extension to basic health insurance that covers care which is not part of the basic health insurance. If you decide to take an additional health insurance, the monthly premium will increase. Note: you don’t have to pay the deductible excess for care that is part of the additional package. You can decide to voluntarily increase the policy excess (up to € 885,-). The advantage of this is that your monthly premium will be lowered and you can save money. Vice versa, if you need basic care in 2018, it means you first have to pay a higher amount for deductible excess. Do you need a health insurance in the Netherlands? When you have a (part-time) job in the Netherlands or an internship you need a health insurance. Do you need a health insurance? 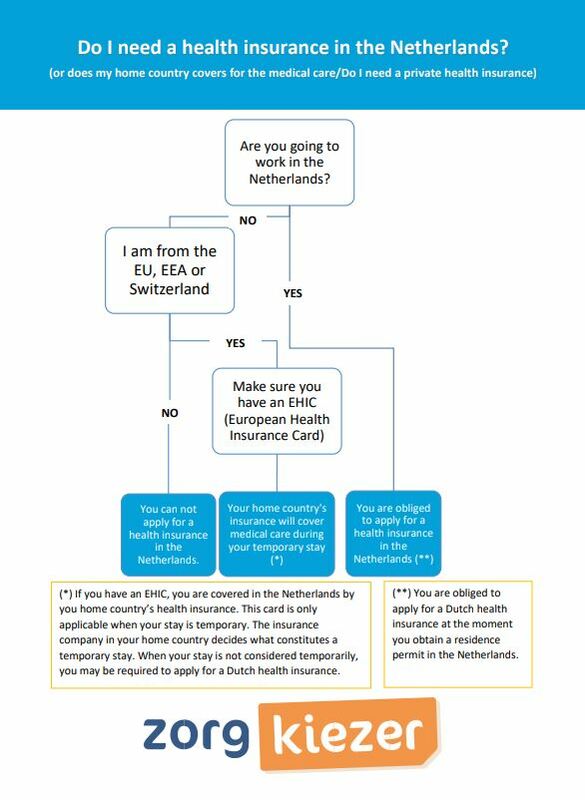 If you just arrived in the Netherlands, you have to apply for a dutch basic health insurance. This can be done after you completed your registration in the Netherlands. We lead you through the application procces in simple steps of our online dutch tool. Fill in your date of birth, gender and zip code. This is needed because some premiums are age related. On top of that, based on your zip code you can check which hospitals are contracted in your area. Select the deductible excess you wish for your health insurance. A higher excess results in a lower monthly premium. The standard amount is 385 euro. Read more about the deductible excess. Select any additional medical care you wish that the insurance to cover. If you don’t need any additional medical care next to the basic health insurance, you don’t have to select anything. • Fysiotherapie (physiotherapy): covers the selected amount of physiotherapy treatments per year. • Tandarts (dental care): covers the selected percentage/amount of dental costs per year. • Kies je extra dekking: any other coverages can be selected in this section. Selected your medical needs? Click on ‘’zoek de laagste premie’’. The website will show the best insurances for you sorted by monthly premium. By clicking on ‘’vraag aan’’ you can fill in your personal information and complete your application. 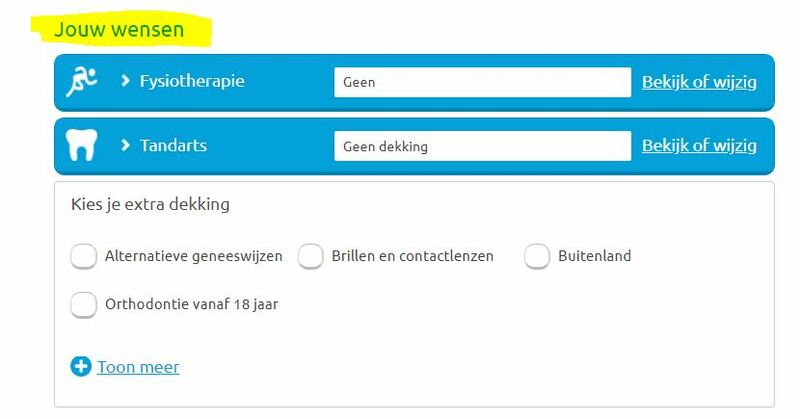 Once you completed the application, you will directly receive a confirmation email from ZorgKiezer.nl. Within five working days you will receive your policy from the insurance company. Want to know everything about the healthcare system in the Netherlands? ZorgKiezer.nl makes it possible for you to find a health insurance in the Netherlands that meets the care you need at the best price. Need any help? Call us! Our colleagues are here to help you finding the best insurance for you. +31 (0) 20 2611 600. Dit bericht werd geplaatst in Zorgverzekering 2019 en getagd 2019, basis insurance, health insurance, Health insurance Netherlands, media, zorgverzekering 2019 door Nadia Wittebol . Bookmark de permalink .